Heads Over Heels pro-actively supports women entrepreneurs through providing access to influential business networks. The organisation was founded in 2010 with a mission to eliminate the discrimination and gender inequality faced by women entrepreneurs in Australia, through taking practical steps to address the issues that were preventing their success. Heads Over Heels determined that the best way of supporting women entrepreneurs was to enable access to the business connections they need to grow their companies. The Heads Over Heels model is based on holding structured events where a carefully selected portfolio of women entrepreneurs pitch their companies and their ‘asks’ to business and community leaders, with the audience then going into ‘Huddles’ to facilitate offers of connection. Heads Over Heels has an incredibly dedicated volunteer Advisory Council and Board supported by A-List Partners and Sponsors. Through the generous support of our corporate sponsors and volunteers, Heads Over Heels has increased the number of women entrepreneurs it supports, and has refined our model to facilitate more quality connections at each event, increasing our community impact. Rob has been involved in the Entrepreneurial sector for over 30 years and is genuinely passionate about assisting and supporting new fast growth emerging businesses with their operational, funding and strategic direction. Rob has led EY’s Growth Markets service and the EY Oceania Entrepreneur of the Year program for many years. With the emergence of the start up sector globally, Rob has more recently been involved in implementing diverse programs to support the start up, scale up and fast growth emerging business sectors and leveraging EYs range of platforms and community networks, including the EY Entrepreneurial Winning Women program. Over the last 3 decades Rob has also committed himself to a vast array of community roles in the arts, education, and charity sectors, however his most significant contribution has been in the field of sport which he has had a great passion for his entire life. Rob has been relentless in assisting amateur and professional sports create processes and infrastructure to develop sustainable non government revenue streams to support the ongoing growth of sport in Australia. Rob has a Bachelor of Business from Monash University with a major in Accounting, is a CA, and has been a registered company Auditor since 1995. 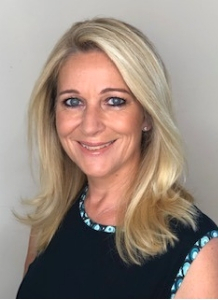 Linda is Group Company Secretary & Corporate Counsel, a member of the Group Executive and Key Management Personnel, at Steadfast Group Limited, an ASX 200 company in the financial services sector. She is on the board of a number of Steadfast’s subsidiaries. Linda’s role encompasses corporate governance, strategic planning, stakeholder liaison including proxy advisers, corporate & social sustainability and providing legal advice to the Board and the business. She is also on the school councils of Abbotsleigh School for Girls and Mosman Church of England Preparatory School. Linda has a Bachelor of Economics and Bachelor of Laws (Honours I) from The University of Sydney and is a graduate of the Australian Institute of Company Directors. Richard Enthoven is the Founder and Chief Executive Officer of The Hollard Australia Group which includes Hollard Insurance, Hollard Financial Services and Real Insurance. He has also served as a Director of The Hollard Insurance Company and The Hollard Life Insurance Company in South Africa since 2003. Richard is also a President of the Insurance Council of Australia and the Chairman of the ICA’s Financial Inclusion Committee. Richard serves on the Advisory Board of Head Over Heels, a not-for-profit organisation that supports a portfolio of high-potential women-owned businesses. Richard holds an MSc in Economics from the London School of Economics and BA from the University of Southern California. He is a passionate cyclist and a fan of test cricket. Diane Grady AM is a full-time Non-Executive Director with 24 years experience on major public company and not-for-profit Boards. She is currently a Director of Macquarie Bank, Grant Thornton, and Tennis Australia. 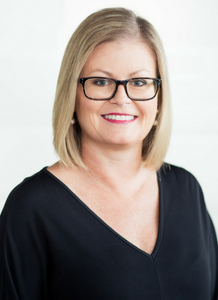 Diane is also Chair of The Hunger Project Australia; and is on the Advisory Board of Heads Over Heels (a group that supports women entrepreneurs). Previously, Diane was a Director of Woolworths, BlueScope Steel, Goodman Group, Lend Lease, MLC, Wattyl, Spotless, and Australian Stationery Industries. 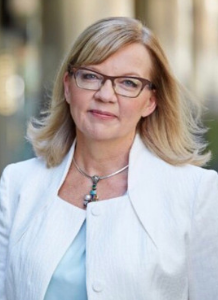 She was also on the Senior Advisory Board of McKinsey & Co, Chair of Ascham School, a Trustee of the Sydney Opera House, a member of the ASIC Business Consultative Panel and the NSW Innovation and Productivity Council and President of Chief Executive women. As a Director, Diane has taken particular interest in assisting organisations to align their culture and people strategy with their business strategy, and to that end has chaired or been a member of the remuneration and people committees of all the Boards on which she has served. Before becoming a full-time director, Diane spent 15 years with McKinsey & Co where she was a leading partner in the firm’s global Organisation, Culture and Change Management Practice. In Australia, she was head of the Consumer Goods, Retailing and Marketing Practice where her focus was on advising clients on growth, innovation and customer service strategies. Diane has an MBA from Harvard, an MA (Chinese Studies) from University of Hawaii and a BA (Honours) from Mills College. She received her AM (Order of Australia) for services to business and promoting opportunities for women leaders. Diane is married and has two daughters. Deborah Johns is a Partner at Gilbert + Tobin in the Corporate Advisory group. She advises clients on a broad range of business acquisitions and disposals, complex joint ventures, fund establishment, venture capital, corporate governance and general corporate and commercial matters. She is also an expert in matters relating to the Foreign Acquisitions and Takeovers Act 1975 (Cth). Deborah is recognised by Chambers Global in two spotlight tables as a foreign expert in Corporate/M&A and Investment Funds (International Firms) (Experts Based Abroad) and is recognised as an AFR Best Lawyer in Funds Management. She has been interviewed on television and radio and conducted numerous seminars and training sessions for clients in relation to foreign investment issues. Deborah holds a Bachelor of Science in Foreign Service (USA in World Affairs) from Georgetown University in Washington, D.C., with a certificate in Asian Studies and certified proficiency in Mandarin Chinese. She received a fellowship to pursue a year of graduate studies at Taiwan’s National Chengchi University and received a J.D. with Honours from the University of Michigan Law School in Ann Arbor, Michigan. She was previously a Director of ASI, a private company involved in Office products, Home Textiles and Property Development and a Trustee of the Sydney Opera House, and Advisory Member of Alzheimer Association of NSW. Until recently, Renata was a Judicial Commissioner of NSW. In the past, she was Chair of the NSW Women’s Advisory Council and Deputy Chancellor of the University of Sydney. She has held Board positions on the NSW State Rail Board, the Sydney Olympic Bid Committee, the Garvan Medical Research Foundation and was an inaugural Board Member of SSO. 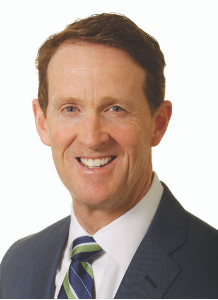 Robert Kelly is the Managing Director & CEO of Steadfast Group Limited (ASX: SDF), the largest general insurance broker network and underwriting agency group in Australasia with growing operations in Asia and Europe. He has more than 45 years’ experience in the insurance industry. In April 1996, Robert co-founded Steadfast with a vision to band together non-aligned insurance brokerages and adopt a unified approach to the market. In 2013, he led the company to a successful listing on the Australian Securities Exchange (ASX). Steadfast is now an ASX 200 company with a market capitalisation of over $2 billion. Robert is also a director of various subsidiaries of Steadfast, the Steadfast Foundation and ACORD International as well as other international organisations. Robert has been recognised as a leader in the insurance industry in Australia and internationally. 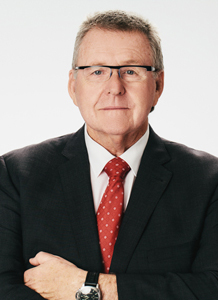 He was the Insurance Industry Leader of the Year at the 2011 Annual Australian Insurance Industry Awards. In 2014, Robert was named the second Most Influential Person in the Insurance Industry in by Insurance News magazine as well as awarded the prestigious ACORD Rainmaker Award. He was a finalists in CEO Magazine’s, 2015 CEO of the Year Awards and a national finalist for the Eastern Region in the 2016, EY Entrepreneur of the Year program and also won the prestigious Lex McKeown Trophy by NIBA. Lynn Kraus is the Managing Partner, Sydney Office – responsible for EY’s largest office in Oceania. 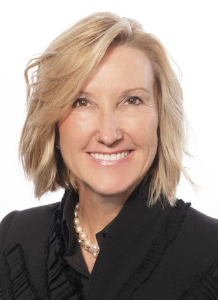 Prior to joining EY, Lynn spent several years working within the institutional banks of both Wachovia Corporation in the US and Westpac Bank in Australia. Lynn has a Bachelor of Science in Accounting, Clemson University, USA; is member of the US AICPA, an affiliate member of the Australian Institute of Chartered Accountants, a member of the Australian Human Resources Institute and Board member of Kidsafe. Lynn is also the Chairman of the firm’s Diversity & Inclusiveness Council and previously served on the Ernst & Young Oceania Advisory Council. 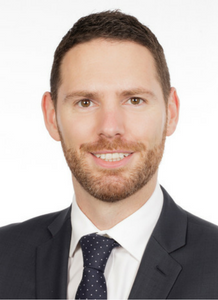 Michael is a Senior Wealth Adviser with Macquarie Wealth Management and holds CFP accreditation and a B.Bus in Economics and Finance (RMIT). Michael provides strategic advice and private wealth investment services to a concentrated group of entrepreneurs and their families, and is passionate about connecting with entrepreneurs from their earliest stages to life beyond asset realisation. 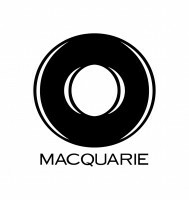 He also works with various businesses and divisions within Macquarie to help foster broader relationships. Michael’s core belief is that every person in the world has an equal right to education; it is this mission that ultimately led Michael to become a board member of the School For Life Foundation. Michael is a big AFL fan, enjoys running and testing endurance, and loves spending time with his kids and broader family. Sid Myer is the Chairman of the Myer Family Investments, the Myer family’s private investment company with a diversified portfolio of assets across most local and international asset classes. For the last 20 years, Sid was the CEO of the Yulgilbar Group of Companies with operating interests in agriculture, property investments and equity and debt portfolios invested locally and internationally. Sid is currently Deputy Chairman of the National Portrait Gallery of Australia and Chairman of the NPGA Foundation, Chairman of the Estate of Sidney Myer, and a trustee of the Sidney Myer Fund, and a director of Copia Investment Partners. In his former community roles, he has been directors of organisations such as Asialink and Asialink Business, St Catherine’s School, the Foundation for Rural and Regional Renewal, Zoos Victoria and Zoos Victoria Foundation, the Australian Thailand Institute. In August 2008 he received an honour from President Friends of Indonesia and in 2011 he became a Member of the Order of Australia. Stephen is the current chair of Advara Limited a cloud-based, multi- jurisdictional land registration platform developer and an active advisor and investor to several disruptive early stage businesses. Stephen is the past Chief Executive Officer of Aussie Home Loans , SAI Global and Newcastle Permanent Building Society. He has over 25 years experience in International Banking and Investment Banking across most geographies. 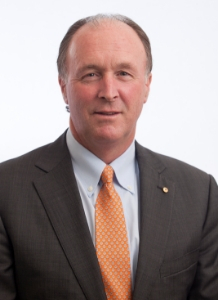 Stephen has also held the positions of Chief Executive of Proteome Systems a publicly listed Biotech and Executive Chairman of Hyro, a public technology and advertising business. Stephen is a past Director of; Breast Cancer Institute of Australia and ANZ Breast Cancer Trials Group: Council of Wesley College ,Sydney University ; the Deans Advisory Board for the Sydney University Business School and the Australian Business and Community Network. Rachel joined NAB as EGM, Deposits & Transaction Services, in January 2017, leading NAB’s Global Transactional Banking. Rachel has 20 years of diverse experience and a track record of creating and delivering successful business performance and transformation. Rachel is currently Acting EGM, Customer Experience. Rachel is accountable for transforming the Customer Experience for NAB’s customers, creating an integrated end-to-end customer experience strategy that enables a cultural change where the customer is at the core of everything NAB does. Rachel has held various executive roles at Westpac from 1999 – 2016. Prior to moving into banking, Rachel worked as a financial services strategy consultant with Andersen Consulting. 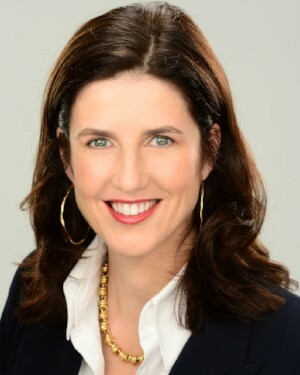 Rachel holds a Bachelor of Economics (Hons) (Macquarie University), Graduate, Australian Institute of Company Directors and Graduate, Harvard Business School Women’s Leadership Program. 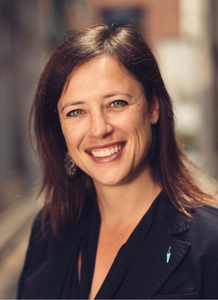 Colette is the Chief Innovation Officer for BlueChilli Group which is consistently recognised and awarded as one of Australia’s fastest growing and most innovative companies. She has had hands-on experience in startups, corporate innovation, research commercialisation and customer experience roles in North America, South Africa, Australia and the UK seeing her recognised annually as StartupDaily’s Top50 Women in Tech and was awarded the AWLA Emerging Leader in Technology 2016. Colette has a Bachelor of Commerce, International Business from the Haskayne School of Business and is fluent in Afrikaans and English. She sits on the Board of Heads Over Heels, acts as an advisor on SheStarts and is seen regularly as a speaker, judge and panellist on her favourite topics – startup and innovation. Marla is partner at EY in their Transaction Advisory Services with substantial international experience, having held leadership positions in the Asia Pacific region, Australasia and the United States. Marla places strong emphasis on global connectivity resulting in multi-dimensional approach to client relationships. She has vast experience across debt products inclusive of leveraged and acquisition finance, LBO, mezzanine debt and debt capital markets across a breadth of industries. Marla is also an angel investor and is on the board of Heads Over Heels. Colin is a Director at EY in their Mergers & Acquisitions team in Sydney and has over 16 years’ experience in both the UK and Australian markets. He has extensive experience in acquiring, selling and capital raising on behalf of his clients. Colin acts for private clients, funds (private equity and VCs) and corporates with a strong focus on working with entrepreneurs and supporting them through major liquidity events. Colin leads the Technology, Media and Telecommunication (TMT) sector for the Australian EY M&A business and has successfully advised on a number of TMT transactions in the domestic market. Colin is also heavily involved in the EY Entrepreneur of the Year Program, which is a global initiative supporting and celebrating successful entrepreneurs across emerging, industry, services and technology sectors to identify and promote their success stories. Colin holds a BSc (Hons) in Mathematics from the University of Sheffield and qualified as a chartered accountant with the Institute of Chartered Accountants in England and Wales. Mandy comes from an Advertising and Media background, publishing magazines in both the UK and Australia for EMAP PLC before moving into Digital Media in the boom of 2000. She launched OSOYOU for Bright Station Ventures in London, which became part of the biggest online Fashion Network in Europe before moving to Australia in 2009. In 2010 Mandy launched an affiliate fashion aggregation website and was listed as business woman of the year in 2012 by Dynamic Business. Mandy served as an Independent Director of NZX and AZX listed company Trilogy International ltd from 2013 to April 2018 when it was acquired by CITIC Capital for NZ$240 million. She now runs an Advertising and Marketing agency representing UK clients including Marks and Spencer, Charles Tywhitt, Cotton Traders and boohoo.com and consults in e-commerce as well as training in Marketing and Digital media. Mandy is a member of Australian Institute of Company Directors (MAICD). Melissa is a general partner at NAB Ventures. She has had previous roles as the General Partner at SeaPoint Ventures, a US based venture capital firm and was CEO of 7Software and Northwest Supply where under her leadership, both companies generated significant returns for their investors. Melissa is an active angel investor where she focuses on investments in early stage companies. 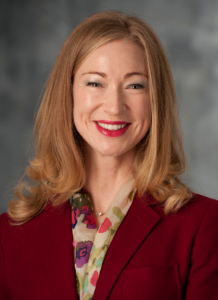 Melissa served as a board director on several US based venture backed technology companies as well as a director on the University of Washington, Bothell’s Business School Advisory Board. Melissa serves on the boards of Brasserie Bread, OneBigSwitch, and the School for Social Entrepreneurs. Melissa holds a Masters degree (Stanford) and a Bachelor’s degree (University of Washington). Christine is an executive at National Australia Bank with 30 years experience in financial services. She holds various executive roles with a focus on M&A Finance, Global and Domestic Debt Markets, Institutional Relationship Management, Risk and Compliance, Change Management and most recently as the Executive General Manager of NAB’s Private Bank. She is a member of the Sydney University Business School Board of Advice and a Director on the JBWere Board. Christine was the Founder and first President of the Not for Profit, Women in Banking and Finance and is proud of the impact that WiBF has had in supporting women in their careers over the last decade. She holds a Bachelor of Economics from Sydney University, a Graduate Diploma in Applied Finance and Investment and is currently undertaking her Masters of Human Resource Management at UTS. She is a member of the Institute of Chartered Accountants (A&NZ), a Senior Fellow of FINSIA and a Graduate of the Australian Institute of Company Directors. With a professional background in the international investment management and securities industry, Nicola has a strong interest in business and its success. Her expertise is in rigorously analysing and investing in a range of both listed and private companies at varying stages of their development. She has held senior roles as a Fund Manager, Equity Analyst and Director of Global Research in a career divided between London, Sydney and Boston with global institutional investors Alliance Bernstein, International Investment Associates, Jardine Fleming, AMP and Brown Shipley. She is an experienced non-executive director and sub-committee chair of not for profit, private and publicly listed companies, and currently serves on the board of Ascham School Ltd, Ascham Foundation Ltd and Cryosite Ltd. Her international and varied career has introduced her to many different corporate cultures, she is an experienced leader and member of diverse teams and has demonstrated the ability to adapt to different sectors, add value, evaluate risk, develop and implement strategy and understand all stakeholder requirements. Nicola is a Chartered Financial Analyst, holds a Law Degree and a Master of Arts from Trinity College, Dublin and is a graduate of the Australian Institute of Company Directors.